A ‘stellar stays’ winner; The Old Hall Bed and Breakfast is a grade 2 listed building. Filled with history and character, you will find this charming B&B set in the village of Husbands Bosworth. Although a peaceful setting, it’s ideally located nearby to the M1 and M6 motorway networks so the busy world is not too far away when needed. It’s also just a stone’s throw from the famous Foxton Locks. Great for a day out, boat trip or stroll; there is always something to do at this charming part of the countryside. Amongst other things, this superb bed and breakfast offers individually styled rooms with luxurious bedding, free Wi-Fi, freshly prepared breakfast and a beautiful countryside location. Sounds awesome for a get-away break or for a business overnight stay. For a hearty, home-cooked breakfast, The Old Hall try to use as much local produce as possible. That’s where we come in. We are based in Rutland, not far from Husbands Bosworth, and we roast speciality coffee in small batches. Freshly brewed coffee at The Old Hall is now a firm part of their breakfast offering. 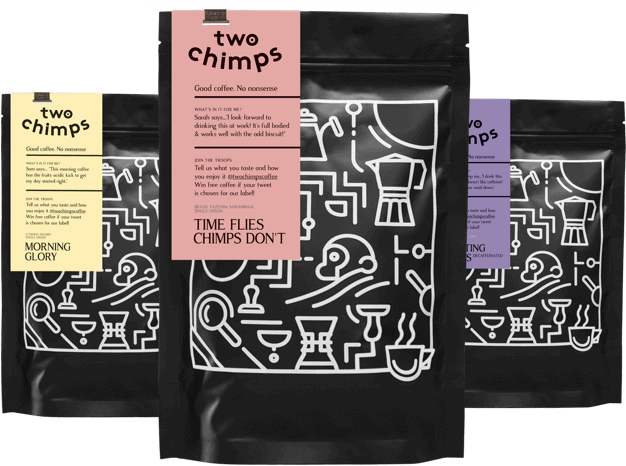 Here at Two Chimps Coffee, we are proud to say that we freshly roast their coffee in small batches and grind just before it leaves the roastery. This ensures that all of our wholesale customers always have the tastiest and freshest coffee possible for their business and customers. At the moment, the freshly brewed coffee at The Old Hall is from Mexico and has a juicy and syrupy sweetness to start your day right. We have lots of different single origin coffees available; all designed for both different times of the day and different brew methods. Find more local gems serving a cup o’ Two Chimps here.